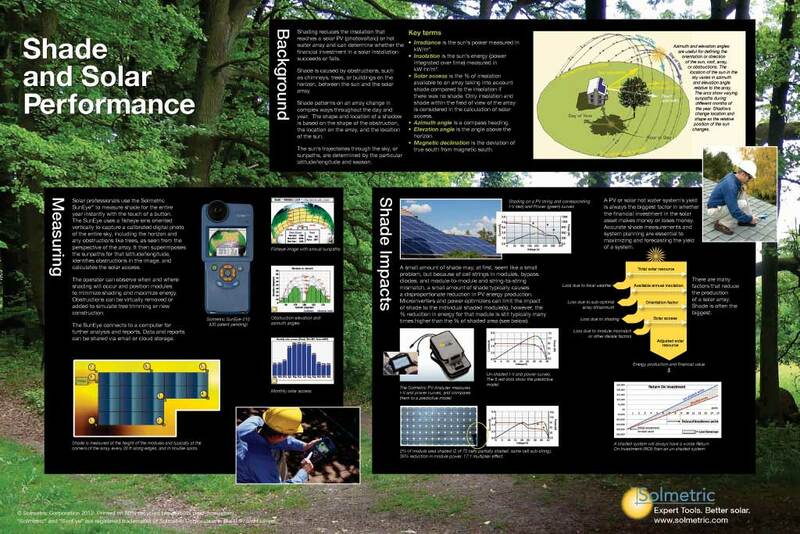 These solar posters are free, and we will ship them to anywhere world-wide! Free Poster: "PV Array Performance Troubleshooting Flowchart"
Learn how to logically troubleshoot array performance and differentiate between real issues and the effects of shading, soiling, weather, and measurement technique. Use of the tree will build skills in I-V curve measurement and interpretation, and also provide the foundation for a reliable module warranty return process. 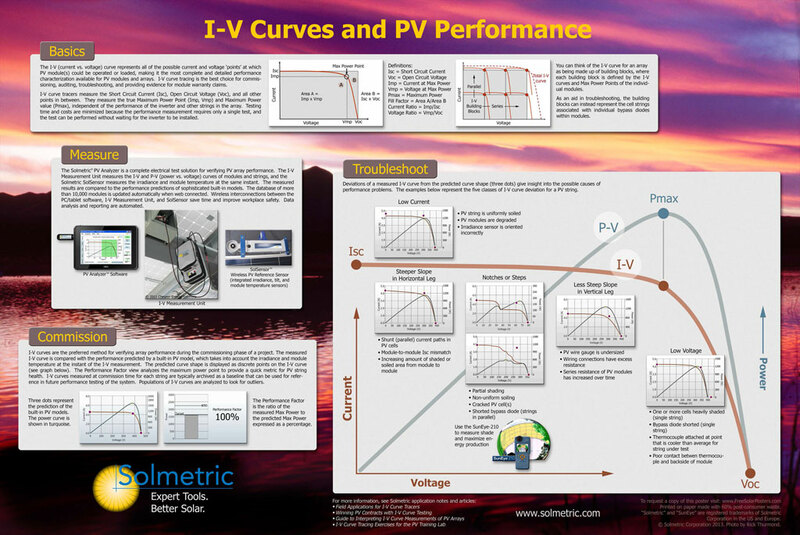 Free Poster: "IV Curves and PV Performance"
This poster deconstructs the I-V curve (current versus voltage) giving insight into the electrical functioning of solar PV arrays. It describes how to measure and interpret I-V curves to determine the performance and health of a PV string giving examples of different failure modes. Free Poster: "Shade and Solar Performance"
With colorful images and concise text, this poster gives background information and key terms, describes the complex motion of shadows and how to measure them, and gives examples of the impact of shade on a solar array�s energy and financial performance.